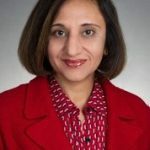 Preety Kumar, CEO of Deque Systems, Inc., co-founded Deque in 1999 to pave the way for digital equality from both user and the technology perspectives. Under Preety’s vision and leadership, Deque has developed a uniquely robust suite of software tools that include WorldSpace and Amaze and become a market leader and a thought leader in digital accessibility software and services. In June 2013, Deque was awarded the Computerworld 21st Century Achievement Award for Innovation for the Amaze technology, and the company has been recognized four times in the Inc. 5000 List of America’s Fastest Growing Companies. Preety was recognized for her contributions to the field of accessibility by being offered the position of vice-chair of the GSA-sponsored Accessibility Forum. She serves on the board of the USBLN, the International Association of Accessibility Professionals (IAAP), and the Yes I Can Foundation. Preety is an active member of the World Wide Web Consortium, and is a member of Women in Engineering, Women in Technology, Northern Virginia Technology Council, IEEE, and the Association of Computing Machinery. Preety is also a contributing author to a book published by the United Nations G3ICT to promote information accessibility to countries around the world.